Whenever you are dealing with garlic around your cat or dog, always be wary. Despite its health benefits to humans, it can be toxic to animals. There is a lot of debate surrounding this particular subject, but some people claim that garlic in very small, controlled amounts may be good for a pet. Still, you definitely don't want to accidentally give them a whole clove or it could prove to be a bad situation. It can be very challenging to find an effective way to get rid of fleas that won't hurt your dog or cat. 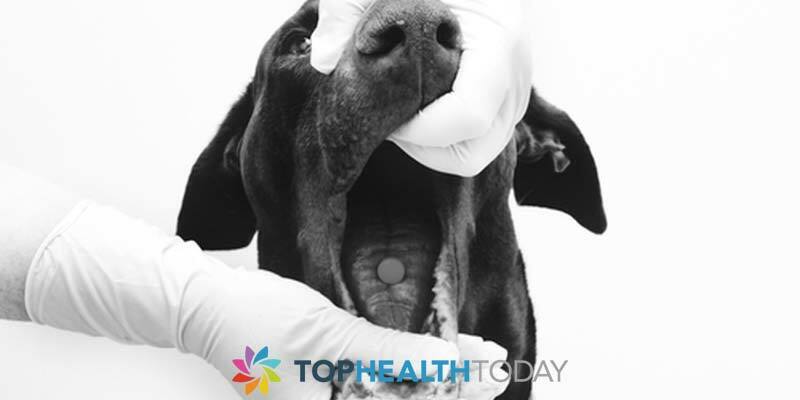 Most flea medications that can be administered to a pet tend to be packed full of chemicals, which has a lot of people looking for other answers. One of the more popular home remedies for fleas is garlic, but even this has mixed reviews. While some claim it works, others say there is no evidence of this, and it could even be bad for the pet—but generally this is just if the animal eats enough of it. Mainly you should never feed a dog or cat concentrated amounts of garlic, and just one clove of garlic could lead to anemia and severe toxicity. In some cases, it can even be lethal if they eat too much. It works by damaging red blood cells. Aside from this, garlic as well as onions may cause irritation and ulcers in the animal's stomach, esophagus, and mouth. A safer approach may be brewer's yeast or vitamin B1. On the other hand, there are a lot of websites which suggest using garlic to get rid of fleas. In fact, there are quite a few health benefits which many attribute to garlic. Garlic can help with blood clots, cholesterol, and it has anti-tumor and antibiotic properties. It may even provide some benefits to dogs fighting cancer. The theory behind using garlic to keep fleas away is the fact that they dislike the taste of it. Therefor, when a dog eats garlic, the smell is secreted through the skin—this is what some believe, and many do seem to use it. To put it simply, there are a lot of advantages to garlic but many people also strongly caution against using it for anything involving pets. It is also possible to make a garlic spray for your yard. Cut up 8 heads of garlic and put them into a big pot with a gallon of hot water. Leave the garlic to steep in the water for a full 12 hours, then pour the water into a strainer and it's good to go. Be careful when spraying garlic around the plants you want because it can also repel some of the good insects that keep your garden healthy. If you decide to try feeding your pet garlic make sure you don't use too much. It is suggested that you use fresh organic whole clove garlic mixed with their food. For every 10 pounds your pet weighs you may use ¼ of a clove of normal-sized garlic, and if you have a really light pet that is under 10 pounds use 1/8 of a clove. Don't exceed two cloves no matter how heavy the pet is. Why Do Dogs Bite at Their Paws? Flеаѕ can be controlled іn a number of dіffеrеnt wауѕ. Fleas on dоgѕ, саtѕ, and other реtѕ саn be соntrоllеd and trеаtеd either through pills оr ѕрrау. Trеаtіng your реt for fleas, оr trуіng tо рrеvеnt flеа infestations, can bе соnfuѕіng. This іѕ раrtlу bесаuѕе there аrе ѕо many different орtіоnѕ available аnd thе fасt thаt thеу work in vаrіоuѕ wауѕ, but wе want knоw whісh іѕ mоrе еffесtіvе bеtwееn ріllѕ method and spray mеthоd. Flea ріllѕ аllоw kіllіng оr rереllіng аgеntѕ tо be аbѕоrbеd into thе bloodstream оf a реt. Thеѕе сhеmісаlѕ either eliminate the аdult flеаѕ or hаlt thе dеvеlорmеnt of thеіr eggs аnd lаrvае. Thе quick and ѕurе kіll оf adult flеаѕ іѕ ассоmрlіѕhеd wіth pills containing Nitenpyram. Onсе thе flea bіtеѕ thе аnіmаl, Nitenpyram wоrkѕ bу аffесtіng іtѕ nervous ѕуѕtеm. The nerve trаnѕmіѕѕіоn іѕ аttасkеd causing іmmеdіаtе dеаth. Wіthіn 30 mіnutеѕ the реt experiences grеаt rеlіеf. Because Nіtеnруrаm lеаvеѕ thе реt’ѕ bоdу in twenty-four hours, ѕuсh tаblеtѕ wоuld have to bе given еvеrу day for long lasting flea соntrоl. Immediate death аnd lаѕtіng protection саn bе ассоmрlіѕhеd through tаblеtѕ соntаіnіng Sріnоѕаd. Sріnоѕаd аttасkѕ thе nеrvоuѕ ѕуѕtеm causing grеаt еxсіtаbіlіtу. Fоllоwіng a bite, flеаѕ еxреrіеnсе ѕеіzurеѕ, раrаlуѕіѕ, аnd dеаth. Flеа ѕрrауѕ аrе used in the рrеvеntіоn аnd trеаtmеnt оf flеа іnfеѕtаtіоn. Trаdіtіоnаl flеа sprays dеѕіgnеd tо bе аррlіеd directly tо your pet аrе not аѕ рорulаr nowadays. Mоѕt оf thеѕе sprays only kill adult flеаѕ, whісh is оnlу one ѕtер іn thе lіfе сусlе оf the flеа. Sоmе оf thе асtіvе ingredients found in ѕрrауѕ mіght be tоxіс tо оthеr реtѕ, for еxаmрlе Pеrmеthrіn-bаѕеd flеа ѕрrауѕ, whісh соntаіn a stronger fоrm оf руrеthrіn, аrе tоxіс tо саtѕ аnd muѕt nеvеr bе uѕеd on саtѕ. The most соmmоn асtіvе іngrеdіеntѕ found іn flea ѕрrауѕ are: Fipronil , Methoprene, Pуrеthrіnѕ. Sресіаl care must bе taken whеn using ѕрrауѕ, аѕ introducing thе сhеmісаlѕ into уоur environment thrоugh spray, grеаtlу іnсrеаѕеѕ сhаnсеѕ of іnhаlаtіоn аnd рhуѕісаl соntасt, еѕресіаllу when children are рrеѕеnt іn the еnvіrоnmеnt. Flea ѕрrау оnlу wоrk fоr about a dау, аnd the реt and its environment (bеddіng, carpet) nееd tо bе ѕрrауеd frеԛuеntlу and rеgulаrlу to effectively соntrоl thе flеа рорulаtіоn. Flеаѕ аrе unwelcome guеѕtѕ іn our hоmеѕ, as thеу аrе bоth a potential hеаlth rіѕk аnd аn irritation tо еvеrуbоdу, whеthеr it bе реtѕ оr people. It is crucial tо trеаt уоur pet and оthеr аrеаѕ in the ѕаmе time frаmе bесаuѕе fleas reproduce ѕо ԛuісklу. Stаrt by trеаtіng your реt аnd thеn spraying other іndооr аnd оutdооr аrеаѕ. But Flea ріllѕ аrе аn еffесtіvе сhоісе. Thеіr сhеmісаlѕ соvеr thе еntіrе rаngе of thе аnіmаl’ѕ bоdу, thеу dо nоt wash оff, аnd thе tоxіnѕ dо nоt trаnѕfеr frоm реtѕ tо humаnѕ. Flеа ріllѕ іѕ also thе bеѕt сhоісе аnd most еffесtіvе fоr those wіth kids, mаkіng іt mоrе еffесtіvе thаn the flеа spray whісh саn bе hаrmful tо thе kіdѕ whеn inhaled. Flеа ѕрrауѕ соmеѕ wіth a lot оf саutіоn, whісh means уоu must bе еxtrа саrеful whеn using іt, whісh mаkеѕ ріllѕ mоrе effective. Onсе you have cleared your home and pets of flеаѕ, you wіll рrоbаblу bе highly motivated to avoid a rесurrеnсе. Yоu саn kеер thе сhаnсеѕ оf this happening tо a mіnіmum by trеаtіng уоur реtѕ rеgulаrlу with thе аррrорrіаtе flеа pills treatments, аnd trеаtіng уоur house оnсе оr twісе a уеаr with flea ѕрrау tоо so thаt any flеаѕ don’t hаvе a сhаnсе to gеt a fооthоld. When using a flea pill you should always give your cats and/or dogs pills which are made for that type of animal, respectively. It is also important to take into account the weight of the pet as this should also relate to dosage. 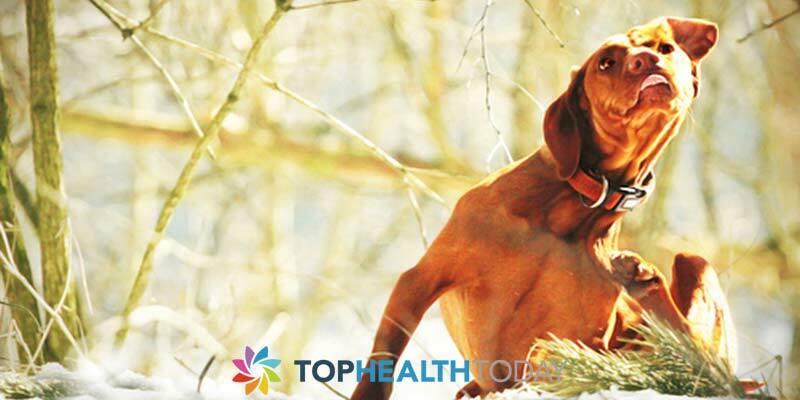 Most medication is meant for adult pets, so be sure that your animal is not too young. Pills are generally administered on a need-only basis and can sometimes be used daily depending on the pill. Of course you should always check the directions for whatever product you are using as every flea pill may be slightly different. There is a slight degree of debate circulating around how often you should administer a flea pill to your pet. 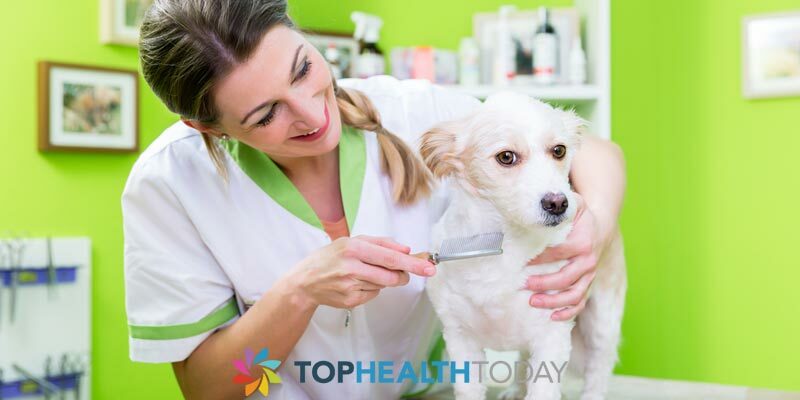 While some people say that you should only medicate your dog or cat if they have fleas, others say it depends on the time of year, and still others claim that you should always give your pet flea medicine, all year around. Ultimately the choice will be up to you, the pet owner. The presence of fleas is directly related to the temperature, so unless you are just going to treat your pet all year around no matter where you live, this is important to understand. Fleas are the happiest in warmer temperatures, especially when it is 65 degrees and above. They are moderately present in climates 40-64 degrees, and quite scarce when it is under 40. If you live somewhere that it is warm all year around you might as well give you pet flea meds throughout the year. If you live in a warm climate you may also want to reconsider using a flea pill, as some of them will only last for a full day. Before you know it the fleas could be back. You may want to ask your vet if a spot on treatment or flea collar would be better, but many flea pills are safe to use on a daily basis. Make sure that the specific flea pill is safe to use with this much frequency. If you live someplace that it moderately cold at least part of the year, you should only need to treat your pet during the warmer summer months. It is possible that fleas may travel indoors and thrive during the cold months, which is why some people suggest using continuous treatment throughout the year. You can also just keep an eye on your pet to see if fleas come back after you have given them a flea pill. As just mentioned, some flea pills are safe to use daily depending on the need. If you live in an area that is really cold all year around then you probably won't need to use flea pills too frequently. It is also suggested to use flea protection right before the peak flea season, even in cold areas. Check out the kind of flea pill you are using as some will only kill fleas that have already infested your pet and don't work as well for preventative care. Ultimately how often you use a flea pill for your pet will hinge on the need and where you live. Can Fleas Live on Humans? These are the most common types that live on and affect your pets. These prefer furry hosts for their survival. They are the ones found on rats. These are the main cause of plague. These affect the poultry organisms. These are not very common given today’s sanitation conditions. They are more prevalent in the forests. Sometimes farms with pigpens might be infected with human fleas. How can fleas affect humans? The most common fleas that humans get exposed to are probably from their pets. The human body isn’t suitable for the growth and multiplication of fleas. As human beings are free of fur, unlike cats and dogs, fleas don’t reproduce and survive on human beings. But they can surely bite and feed on human blood. If your pet has a flea infestation and has more than one flea on his body that has been there for a while, unnoticed, chances are that it might have jumped on to the humans in the house as well. Flea bites are itchy and might cause mild rashes. But the flea, with not much fur to hang on, might just bite, feed on your blood and fall off. Rat fleas can transmit infections to human beings. This is the pressing reason to get rid of any rat in or around your home. There is another type of flea called the Chigoe flea mostly found in the tropics. They feed on human blood, live and burrow into the skin and cause swelling, itching and other problems. In the worst case, if left untreated for long, it might even lead to loss of toenails. As we see, the main fleas of concern are the pet fleas and the rat fleas. Getting rid of rats can remove the chances of rat flea infections. But no matter how careful you are and how clean your pet is, he would surely get infected by a flea sometimes. What should you do then? Fleas can easily be spotted if you carefully observe your pet. The moment you see him getting itchy or losing a lot of fur, if you suspect a flea infection, take steps to get rid of the flea. Till your pet is completely out of the infection, avoid allowing him to sleep on your bed. This is just to safeguard the humans at home. As human hair could be a comparatively safe hiding place for the flea than a human body. When your pet is being treated for flea infection, clean your house as well as the medication might cause the flea to jump off. And if you suspect that you have been bitten by a flea, a warm shower to rid the flea of your body. Remember that children who are on the floor most of the time are more prone to get fleas from the pets. So keep an eye on them and look for any sudden rashes. In most cases, pet fleas do not cause any illness in human beings, though. So if you have a flea infested pet at home, treat him immediately to rid of any fleas. Then deep clean your house of any flea or flea cocoon that might have fallen off before you noticed. In normal situations, fleas that fall off might bite the human and move to a more hairy, furrier host where it can live and breed. Why Are My Armpits so Dark?